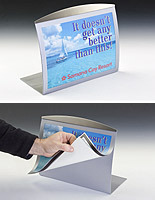 This Picture Frame Uses Magnetic Technology to Secure Advertisements, Photos, and More! 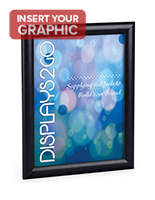 This Picture Frame is Ideal for any Business or Office! 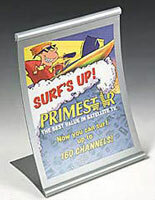 This Plastic Poster Frame is one of our Most Popular Poster Frames! 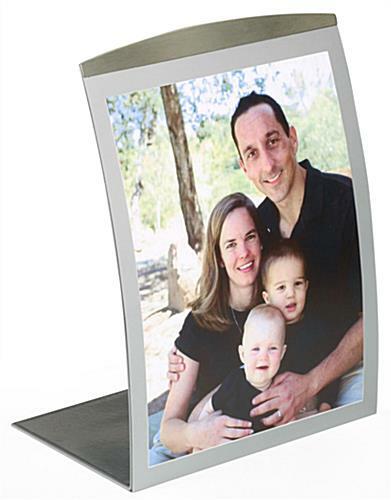 Media Size: 8" x 11.5"
4" x 6" 5.5" x 8.5"
Picture Frame in Silver with Magnets, 8-1/2" x 11"
This picture frame uses a magnetic, non-glare lens, allowing you to make fast content changes. To exchange prints, merely lift up the lens and place prints underneath. We provide the picture frame with the non-glare lens to shelter photos from being hindered by reflection or other damage. 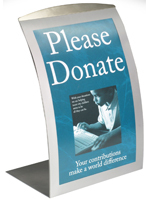 This picture frame often can be seen in hotels, banks, offices, schools and retailers. 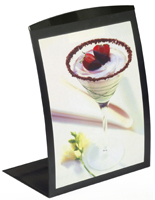 This picture frame is an affordable option for exhibiting 8-1/2"w x 11"h images. 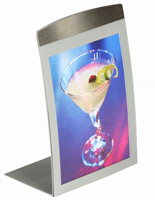 This picture holder, picture frame is made of aluminum, and incorporates a silver finish for an appealing look. 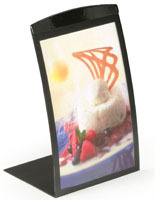 This picture frame, also recognized as a sign holder, can be used to showcase media content, pictures, menus, notices or other artwork. 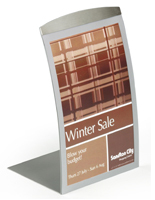 The picture frame also incorporates a special curved design, making your prints stand out in style. A uncomplicated, yet modern design makes this picture frame perfect for many different settings. This picture frame is engineered to last, yet is sold at an affordable price. 32.0" x 13.8" x 6.0"